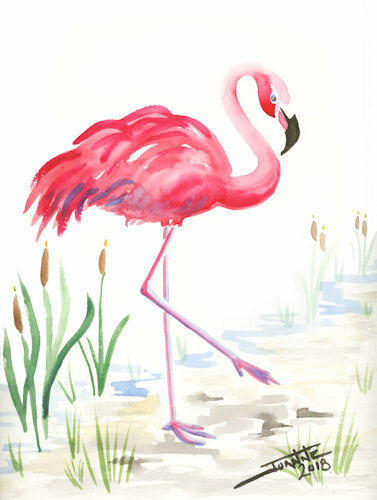 Awesome pink Flamingo! Tons of shading! Gentle "swooshy" background wetland with bulrushes.